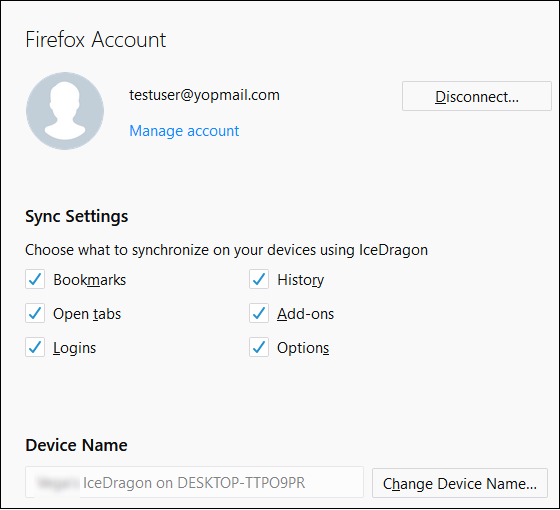 Synchronizing Ice Dragon with your Firefox account means you can use your Ice Dragon settings on any computer you use. 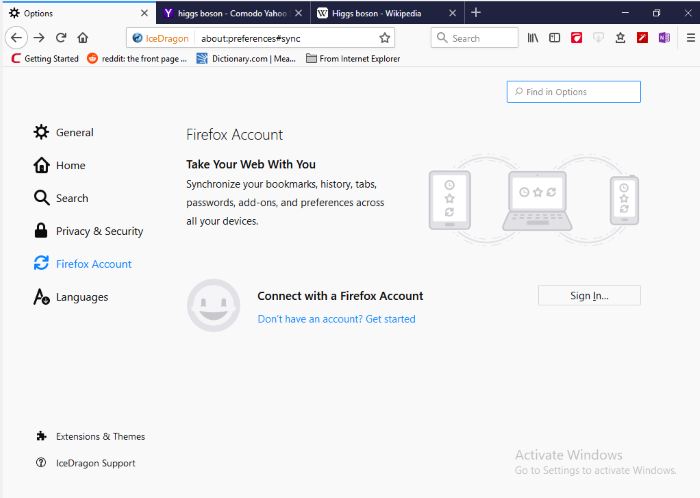 Synchronizing will copy your bookmarks, browsing history, preferences, passwords, form data, add-ons and the last twenty five websites you visited. Click 'Sign in to Sync'. Click 'Create Account' if you do not already have an account. Click 'Don't have an account? Get Started' if you do not already have an account. Please review these settings and deselect items that you do not wish to sync. The general interface lets you enable or disable synchronization. 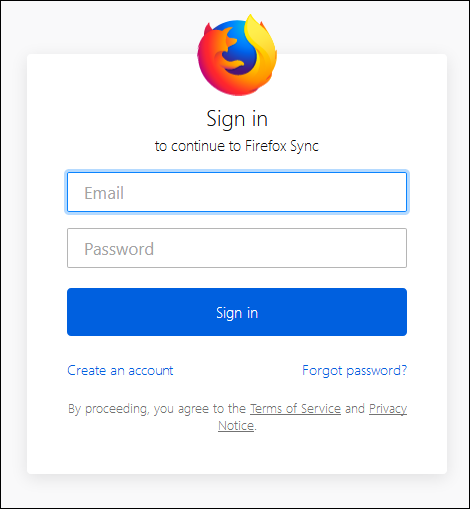 Click 'Disconnect' in the Firefox account page. Note: your Google account will retain data that has already been uploaded BUT will not update with any further changes you make. 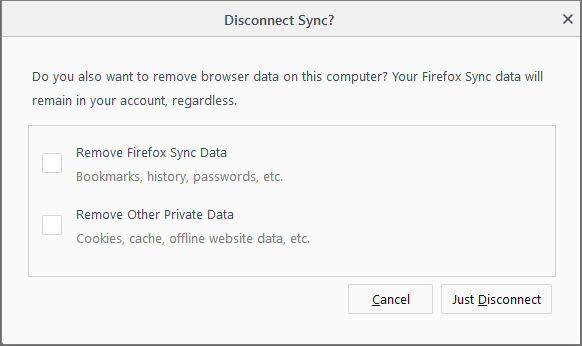 You can also select whether to remove sync data or private data from the 'Disconnect Sync' dialog or both. Click the 'Manage Account' link to change your account appearance and password and preferences. Click 'Change Device Name' to rename a device, then click 'Save'. 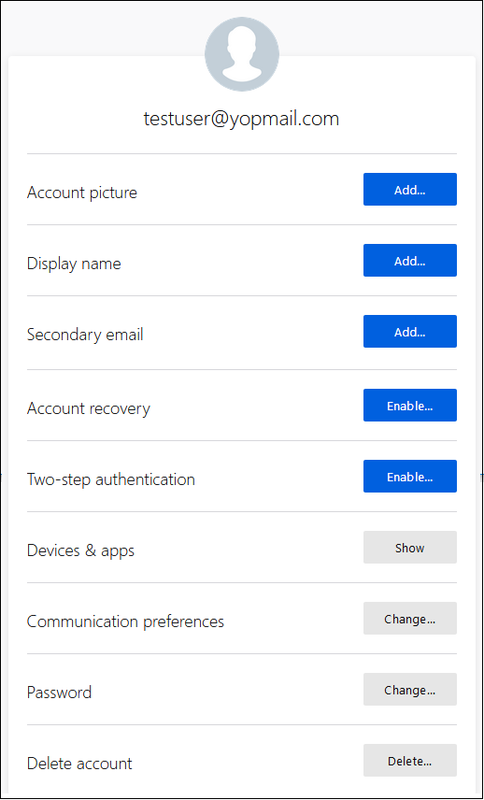 This option displays the devices that are having the IceDragon application installed. If you have not installed you can download the application from this option. This option allows you to receive communication on policy changes, accounts functionality, promotional emails and so on. Uncheck 'Clear history when IceDragon closes'.